Until the arrival of the Apple HomePod, the Sonos One had a pretty strong grip on the audiophile-end of the smart speaker market. However, with the HomePod’s arrival, Apple are swinging for their top spot on the food-chain. They’re betting that if you care enough about the fidelity of your audio experience that you’re willing to pay extra for the best sounding smart speaker, you’ll go with their Siri-powered effort, regardless of the drawbacks and limitations that come with it. Funnily enough, the response to this from Sonos has been one taken in stride. 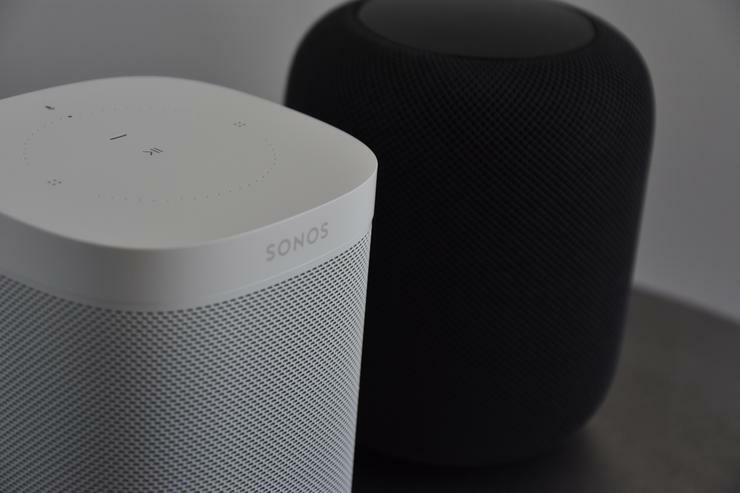 The company have been running two-for-one deals on their Sonos One speaker in the lead-up to the arrival of the their biggest competitor yet and even found the time to release a humorous Spotify playlist to welcome Apple to the smart speaker arena. As with our comparison of Amazon’s Alexa and the Google Assistant, we decided to play a quick game of 20 questions to put the HomePod’s Siri-powered smarts through its paces. As noted in our head to head comparison of Alexa and the Google Assistant, there's no strict marking criteria to the questions here. I literally pulled twenty queries that I felt like I'd get at least some kind of answer for. In addition - it's not just about whether the answers they gave were correct, but also whether they understood the question enough to provide the kind of response I was looking for. The idea here isn't to provide a scientifically-accurate measure of how 'smart' each assistant is but instead to showcase their ability to answer the kind of everyday questions that most users might throw at them. Who was the last Prime Minister of Australia? “I can’t get the answer to that on HomePod.” This was not the answer we were looking for. How many books are there in A Song of Ice and Fire? “I wish I could but I can’t look up books here.” This was not the answer we were looking for. How much RAM is there in the Samsung Galaxy S8? “I can’t get the answer to that on HomePod.” This was not the answer we were looking for. How many bits in a byte? “One byte converts to eight bits.” Correct. What is quantum computing? “Quantum computing is computing using quantum-mechanical phenomena, such as superposition and entanglement. That was from Wikipedia.” Correct. Is a plastic container microwave safe? “Sorry, I couldn’t find plastic containers microwave safe.” This was not the answer we were looking for. Who was the star of Malcolm the Middle? “I found six: Bryan Cranston, Frankie Munez, Christopher Masterson, Justin Berfield, Erik Per Sullivan and Jane Kaczmarek.” Correct. What is the difference between water-proof and water resistant? “I can’t get the answer to that on HomePod.” This was not the answer we were looking for. What is the population of Tasmania? “In 2016, the population of Tasmania was 509,965" Correct and contextualised. Good work, Siri. What events are taking place at the Winter Olympic Games today? “Norway lead the Winter Olympics medal count with 28 total medals, including...” Relevant, but not the answer we were looking for. How much sugar should I put in my coffee? “There’s no need for that.” Umm, OK. Thanks for that, Siri. Regardless, this was not the answer we were looking for. How much will it cost to fly to Melbourne? “I can’t get the answer to that on HomePod.” This was not the answer we were looking for. Who wrote the song ‘Gold on the Ceiling’? “Dan Auerbach and Patrick Carney wrote the Black Keys song Gold on the Ceiling.” Mostly-correct, though HomePod did fail to give Brian Burton a nod here when his contributions were recognised by both Alexa and the Google Assistant. How much sunscreen should I wear when I go to the beach? “I can’t get the answer to that on HomePod.” This was not the answer we were looking for. How do I fix a broken lamp? “I can’t get the answer to that on HomePod.” This was not the answer we were looking for. When is the new season of Jessica Jones due to start? “I can’t get info about TV shows on HomePod. Sorry about that.” This was not the answer we were looking for. Will peanut butter help my sore throat? “I can’t get the answer to that on HomePod.” This was not the answer we were looking for. What is Microsoft’s smart speaker called? “I can’t get the answer to that on HomePod.” This was not the answer we were looking for. Who won the 2015 Oscar for Best Picture? “Birdman won the Oscar for Best Picture in 2015.” Correct. Again, You can see how Alexa and Google Assistant fared against the same questions in our comparison piece here. However, the short version is that Siri scored worse than either assistant - even if we're generous on the Black Keys question. Who Is The Winner: It’s a tie. Fundamentally, I am a disappointed and generally-unsatisfied with the state of either device when it comes to smarts. On one hand, Siri comes across as frustratingly limited compared to the capabilities of both the Google Assistant and Amazon Alexa. However, on the other, the Sonos One currently features zero smart assistants for Australian users. Sonos have indicated that both Google and Amazon’s smart assistants will be coming to the speaker in 2018. 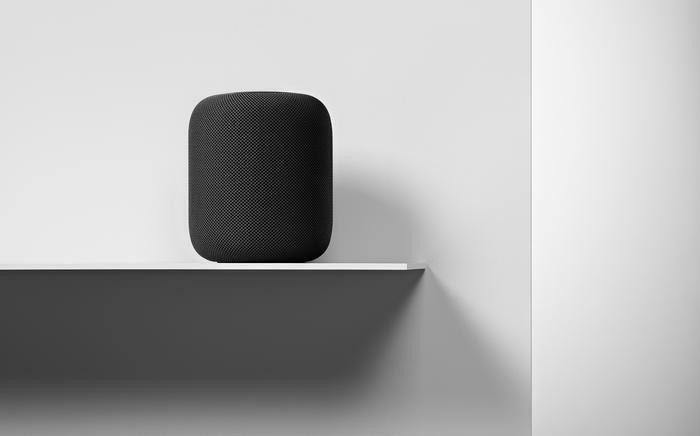 Unfortunately, for the moment, that leaves the HomePod looking like a bit of a winner-by-default here despite its rather-significant shortcomings. Thus, we're calling it a tie.